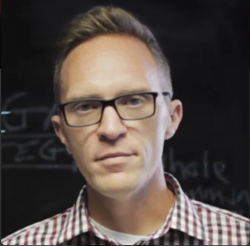 Andy is the lead pastor of Renew Communities – a missional church he helped plant in 2011. Andy, his wife Meri and their children Kenzie, Eva and Archer, have lived in the Cleveland area since 2005. With a deep rooted passion to see this city renewed and over a decade of ministry experience Andy focuses primarily on vision, discipleship, teaching and reproducing leaders.